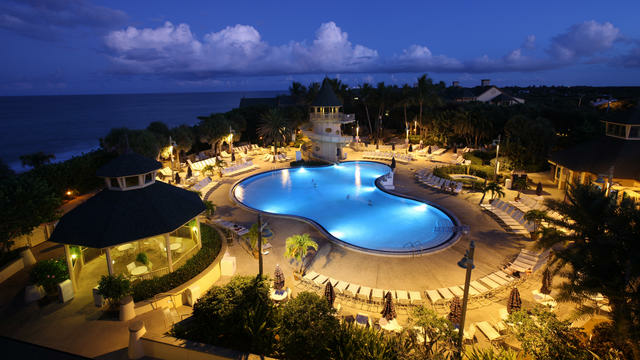 Immerse yourself in the casual elegance and laid back lifestyle of Florida's picturesque Atlantic Treasure Coast. Make yourself at home among the old world architecture of spacious Vacation Homes and stand-alone Beach Cottages. Enjoy the environment and rich history of the region, just two hours southeast of the Walt Disney World® Resort. 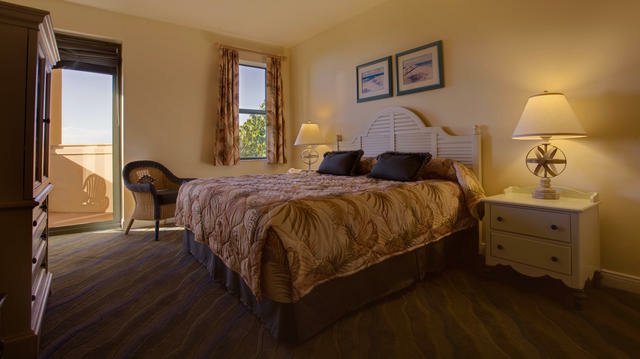 Sit back and relax in quaint and tranquil accommodations with all the comforts of home. Enjoy a full range of options that are a perfect fit for your family, no matter what the size. Choose from a range of accommodations, including deluxe studios, one- and two-bedroom Vacation Homes, and three-bedroom Beach Cottages. * Sonya's is a rich and romantic setting where you can enjoy exceptional steaks, chops and seafood. Named one of Florida's 500 Best Places to Dine for the second year in a row by Florida Trend magazine, the editors describe Sonya's as "… taking full advantage of the oceanfront setting, the staff here is Disney pleasant, the kitchen skilled in producing good seafood, excellent steaks and chops." * Shutters offer cuisines that infuse creative American cooking with ethnic influences. * The Green Cabin Room lets you relax with drinks and snacks on the porch or inside this little hideaway. * Bleachers offers refreshing frozen drinks and fun foods, poolside. * Barbecue grills are available to Guests at no charge throughout the Resort. * Visit many of the unique Vero Beach attractions including the Mel Fisher Treasure Museum, the Vero Beach Art Museum, and the Manatee Observation and Education Center. * Enjoy nearby championship golf courses. * Many different shopping options to choose from including The Vero Beach Outlets, Ocean Drive Shops, and Downtown Vero Beach. MAGICAL WAVES ON THE TREASURE COAST No Florida vacation is complete without a trip to the beach, and no one but Disney could mix magic with the splash of oceanfront fun. 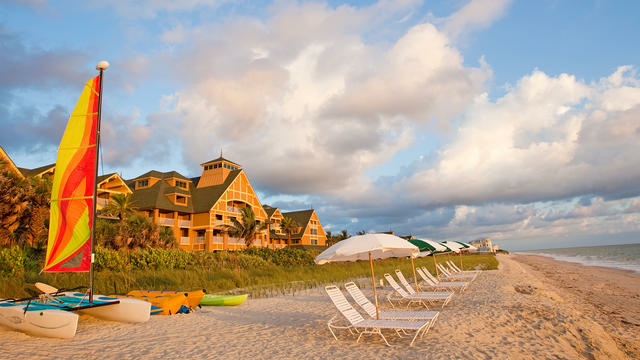 Hidden on a sun-drenched beach midway between Cape Canaveral and West Palm Beach, Disney's Vero Beach Resort combines the beauty of the Atlantic Ocean with just the right amount of pixie dust to create waves of vacation excitement. From a relaxing marshmallow roast at a seaside campfire to an exhiliarating 2-story water slide; it's a beach vacation with an ocean of fun.